This is one of our most recently restored rooms. It comes with a private terrace, parlour with jacuzzi and an ample bathroom with yet another jacuzzi. 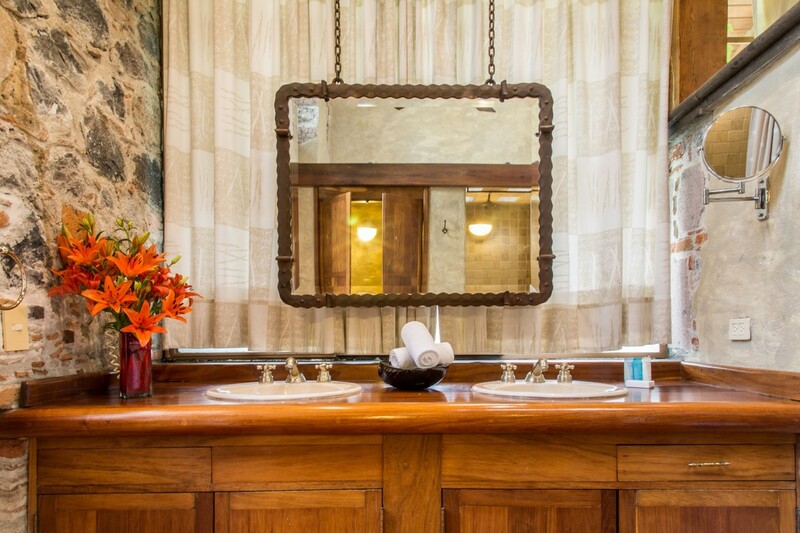 On the upper floor you will find an exquisitely decorated bedroom with a king size bed, on suite toilet with a tub. 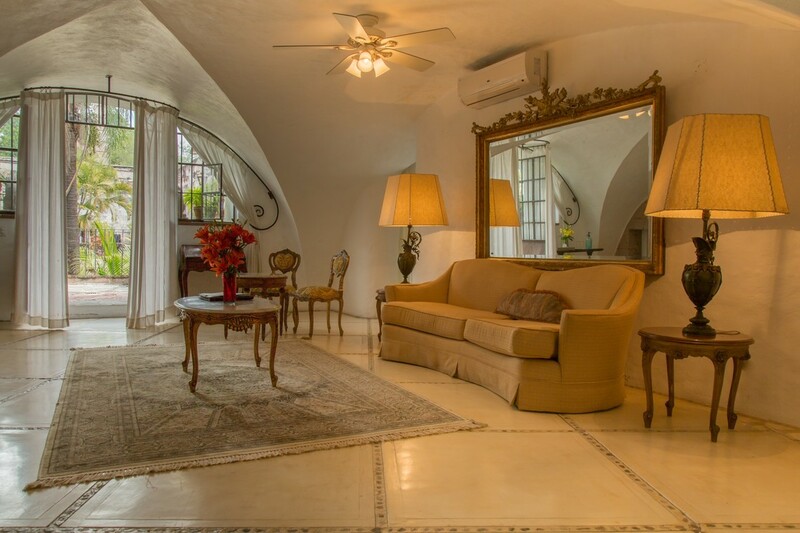 This room is located at La Ceiba gates. 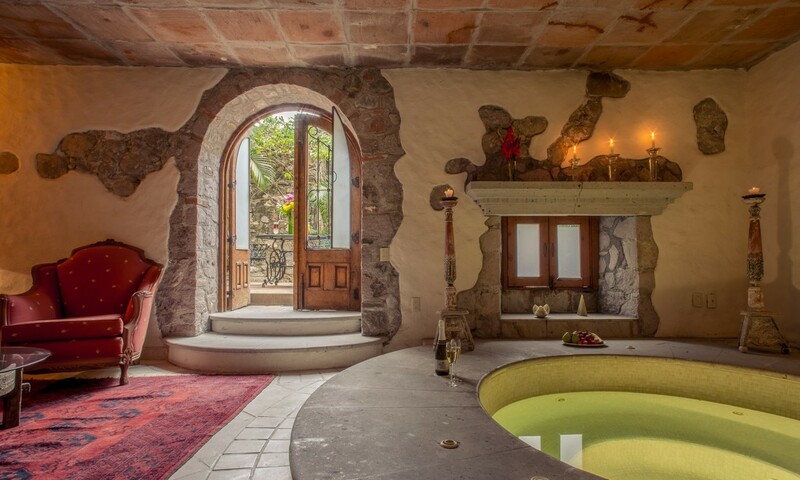 Coronel is the most important suite off the main hacienda foyer. The jacuzzi has a view to the exotic garden grounds and the majestic Palmas Reales drive. 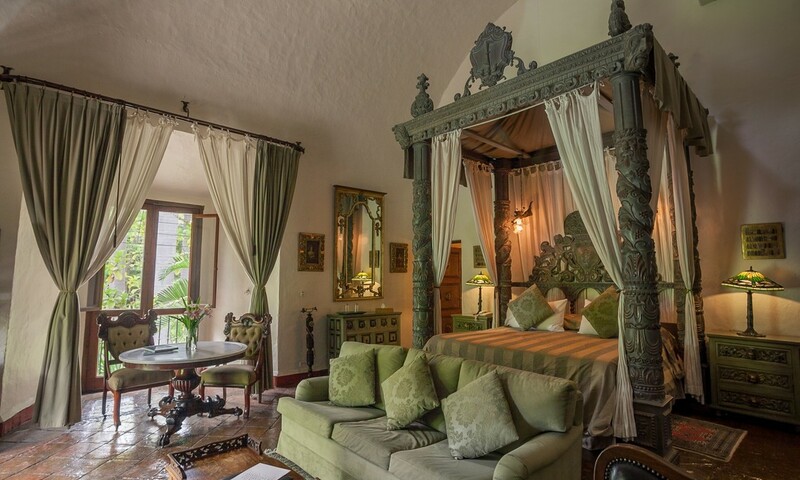 The king size bed frame is made out of hand carved hardwood and one of its main charms is its massive medieval fireplace along with its two balconies that overlook the abundant and lush greenery of the Hacienda. Its vanguardist décor in contrast with the XVIII century aqueduct along with its location a few steps away from the waterfall, this suite is one of the most coveted by romantic couples. Comes with a kingsize bed and an splendid jacuzzi at the centre of the room. 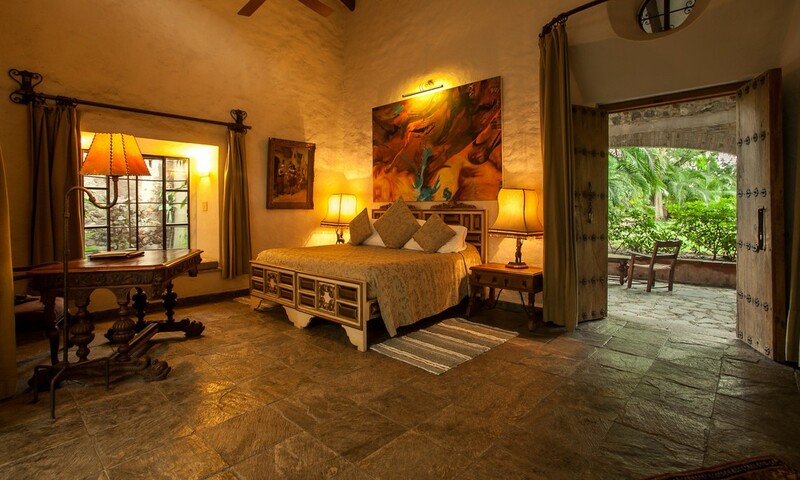 Encompassed by the sumptuous vegetation and harmonised by the gentle sound from the waterfall, view to the Zeus garden grounds and a few steps from Amate Spa, this exotic Master Suite enjoys a privileged location. Comes with a king-size bed and open air jacuzzi to enjoy morning or nights surrounded by romantic décor of flowers and candles. An experience all on its own! The perfect proportions. The sail vault that harbours this romantic suite is located in the most exclusive corner of the Haciendas main hull. Comes with a drawing room, private terrace and jacuzzi.